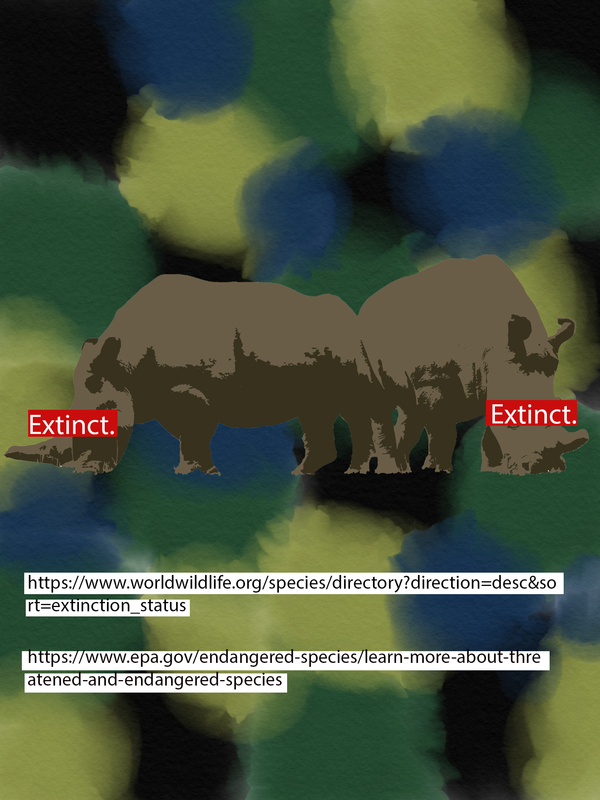 The white rhino recently became extinct when the last male of the species died. Endangered animals are becoming more and more prevalent, and we cannot continue at the rate we are going. Originally I had created these images and put them in small acrylic frames.. However, I realized the impact would be much more lasting if I used it as a tool for awareness. 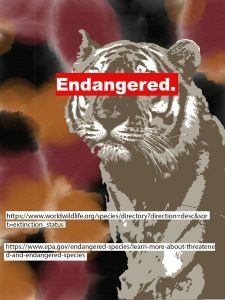 I added the links to websites related to endangered species, and plan to print them out on large posters and plaster them to construction walls or just tape them up around school. In this way I can raise awareness and reach far wider audience. The his was designed using several programs including photoshop, illustrator, and adobe sketch.